The hair quiff is probably one of the most influential hairstyles in history – and one that will continue for decades to come. Why? Because it has the power to adapt to every age and style, from a badass rock ‘n’ roll look to a fresh and modern take. Read on and get inspired by 7 of the coolest famous men who’ve sported some of the best quiffs of all time. No round-up of the best quiffs can begin without mentioning the King. Presley’s iconic hairstyle was his signature look. You don’t need an Elvis wig to rock this ‘do, though – the key to it is balance. So, keep the sides and back longer, in proportion to the top section. And because the high-shine finish is all-important, choose the right set of products that will give you both volume and gloss. Just click here to discover how to style your quiff like a pro. Next to the King, this one could be a serious contender for the best quiff. Chet Baker wore his effortlessly, using length to create a great height in the front. With a slick and well-defined look, this is a hairstyle that definitely embodies total confidence. Editor’s tip: To copy this retro style, you’ll want to up the shine factor of your ‘do while also ensuring you have the hold to craft the look. 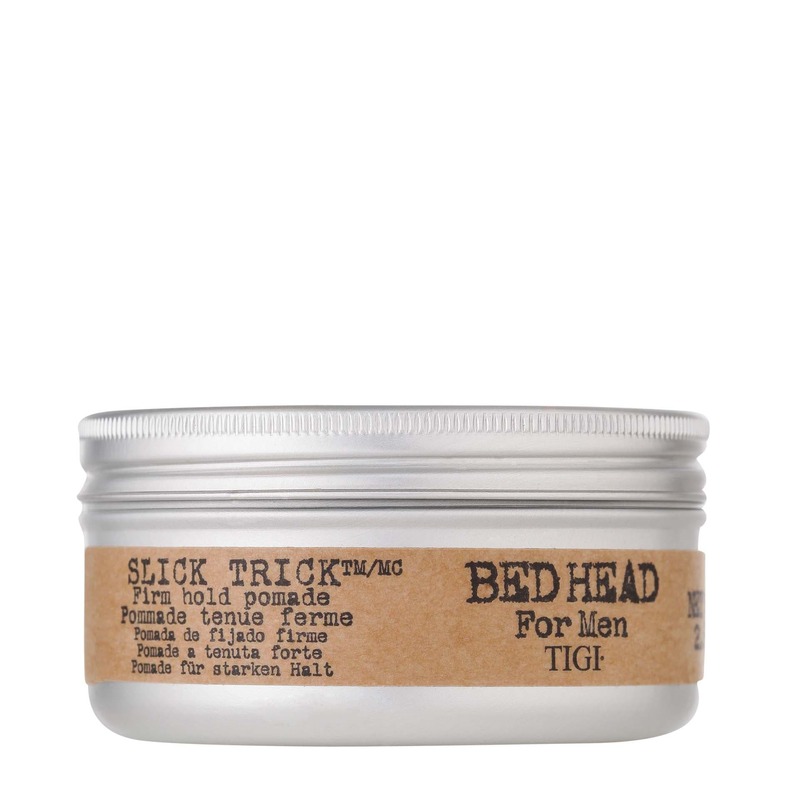 With this in mind, you should opt for the TIGI Bed Head Slick Trick Firm Hold Pomade, which has a non-greasy formula and combines a structured hold with inspired shine. Beckham’s quiff is a perfect example of how to take the classic look into modern times. He makes it shorter, removing the flamboyant edge a little bit while keeping the style looking neat and sharp. The actor’s legendary quiff was a perfect representation of his style and personality – good looking and fuss-free. It wasn’t a look that was heavy on shine or shape; with layers through the cut and a longer top, the result is a slightly more softer-textured hair quiff with a looser, more relaxed feel. A perfect choice if you’re trying to avoid looking like you’ve made a huge effort. Editor’s tip: For a softer take on the look, go for a product that will allow you to rework your style throughout the day. The VO5 Texturising Gum is great for this, as it separates hair with texturising touch, giving even fine-haired gents the chance to rock the style. Another modern hair quiff – but this time, with some messiness thrown into the mix. The British model keeps more length through his hair and adds some texture simply by not over-styling it or keeping it too defined. This is great for wavy hair as you don’t need to do too much to get the look, at all. Bryan Ferry’s quiff is instantly recognisable and works in a timeless way. With a softer, floppier shape, it is still kept very neat to make it look both slightly tousled and precise at the same time. George Clooney’s incredible success comes with a perfect blend of talent and flawless style. The actor rocks a classic hair quiff with a good balance between the top and the sides, for a polished, well-groomed look. for more styles to copy at home, click here! The best men's fringe haircuts of 2016 – which will you choose? 9 looks for Asian men: Hairstyles that tick all the boxes! The 'Gareth Bale hairstyle' that have given us serious hair-envy!